Porsche in the 1970s was a company that thought it had its direction figured out. The air-cooled cars (911 and 914) were to be phased out and replaced with two new water-cooled designs: the Porsche 924 and 928. American-born CEO Peter Schutz was eventually to throw this plan out the window when he extended the life of the 911 indefinitely. But for a brief period of time, the 924 and 928 looked like the future at Porsche. Developed originally as a Volkswagen by Porsche (which was VW’s de facto research and development department at the time), VW got cold feet about a sports car that would not share a platform with any other VW product so it sold the design back to Porsche who produced it at Audi’s Neckarsulm plant. It was a fundamentally sound bit of engineering, front-engine and rear-wheel drive with a rear-mounted transaxle connected to the engine by a rigid torque tube in lieu of a conventional driveshaft. Weight distribution was 48/52. While not exactly looking like a Porsche, the 924 was at least clean and attractive with a useful glass hatch continuing the fastback roofline. Testers clamored to get their hands on a 924 but, in many cases, were let down when they did. Early U.S. cars came with an anemic 95 hp version of the rather coarse Audi 2.0-liter four-cylinder, and the car suffered from suspension tuning that was maddeningly harsh, particularly on freeways. Porsche steadily improved the 924, particularly in the ride department, but there was only so much that could be done with the Audi four-banger. Turbocharging, which became available in 1980, improved power, but the engine lacked balance shafts and would forever be a rather buzzy unit. The 924 was finally Porschefied in the eyes of many when it morphed into the 944 for 1983. Aggressive fender blisters and a Porsche designed four-cylinder with Mitsubishi-licensed balance shafts addressed the car’s major shortcomings. It wasn’t the end for the 924, however, which returned as the entry-level 924S for 1987 and 1988 with a 150-hp version of the 944’s engine. Today, the tables have turned somewhat and to some entry-level collectors, the 924 (particularly those in bright colors with the wild op-art checked “Pasha” interiors) can occasionally be more desirable than the more complex and maintenance-intensive. 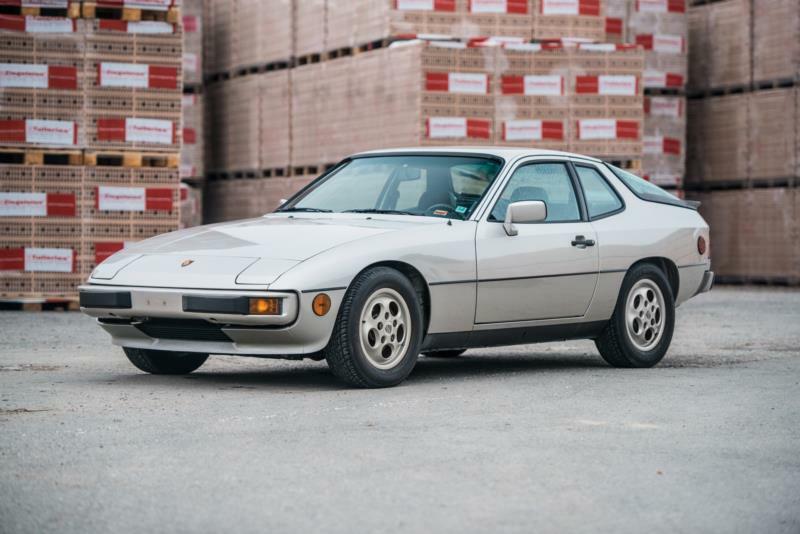 With fully galvanized bodies after 1977, the 924 can be a durable, simple fun first Porsche. The remaining few good ones are worth seeking out.